In recent years, it seems like many of the advanced and inspired science fiction concepts of the past are being brought to life. Connected systems direct and manage key aspects of our lives, and innovative systems are able to automatically process and “think” on their own. Some of the greatest advancements recently include artificial intelligence (AI) and machine learning (ML). While these initiatives are only just coming to the forefront in many areas, a number of forward-thinking organizations – including Trend Micro – have invested in these innovations for years – particularly when it comes to their applications for cybersecurity. Smarter data and asset protection, aided by intelligence systems and machines, could be just what’s needed to turn the tides against malicious actors and cyber criminals. Before we delve into the strides these concepts are enabling within the data security realm, it’s important to understand, from a technological standpoint, what we mean when we discuss AI and ML. For many users, AI is at least a baseline concept, being brought to the spotlight by advances like IBM’s Watson and Hanson Robotics’ Sophia. These are far from the only applications for AI, however, and AI systems typically aren’t quite as human as, say, the eerily quippy Sophia. TechTarget defines artificial intelligence as the “simulation of human intelligence processes by machines, especially computer systems,” noting that these processes can include things like reasoning, self-correction and learning through activities like machine vision and speech recognition. Machine learning, a connected but separate concept, can be defined as a computer process that is able to learn information without the aid of human interaction. As Trend Micro notes, ML “uses algorithms to examine large volumes of information or training data to discover unique patterns,” which it can then analyze, group and use to make predictions. More than 35 percent of American jobs could feasibly be replaced by AI and automation by the 2030s. By 2020, roughly 85 percent of all customer-business interactions will take place with AI, and without a human agent involved. AI will be a more than $5 billion market by 2020. AI and ML software will rake in $59.8 billion by 2025. ML algorithms enabled Netflix to save $1 billion in a single year and allowed for same-day shipping capabilities at Amazon. Simply put, AI and ML are making waves across every industry sector and can bring new capabilities and beneficial strategies for data and system security. AI and ML are making waves in the data and asset protection landscape. AI and ML for cybersecurity: What’s possible? Because AI and ML work in tandem – AI leverages ML capabilities to increase its intelligence and evolve – these systems can be considerably advantageous when it comes to identifying and working to guard against the latest security threats. As InfoSecurity contributor and Catalyst for Business CEO and Founder Ryan Kh noted, emerging threats are very challenging for today’s traditional security tools to pinpoint. This is particularly true when it comes to zero-day threats, which pose a significant hazard to enterprise and consumer systems alike. This is an ideal arena wherein AI and ML can shine. In this way, an AI system powered by ML can leverage what it knows and understands about past attacks and threats to identify other attacks in the same vein or style. Because hackers are consistently building upon older threats – including new abilities or tweaking previously used samples to build out a malware family – utilizing AI and ML systems to look out for and provide notification of emerging attacks could be incredibly beneficial to stemming the tide of zero-day threats. This translates to new dangers being pinpointed more quickly and the necessary updates and patches released in a more streamlined manner, minimizing the number of victim systems impacted by the threats. In addition, as Kh pointed out, this can also free up considerable time for cybersecurity experts who, without the assistance of AI and ML, would have to identify these threats on their own – or, worse still, wait until a key system is attacked to notice the threat. In other words, IT security leaders won’t have to run around putting out small fires : Advanced AI and ML machines can do this for them. This provides these key workers valuable time to focus on other, more complex data protection matters or important IT initiatives. As noted, while AI and ML are being heralded as the next big things for information technology and data security, our Trend Micro researchers have been working with and investing in these advanced systems for more than a decade. Recently, our team leveraged the assistance of innovative ML capabilities to analyze details related to more than 3 million software downloads. We emerged with a few key findings, including the fact that most downloaded files – 83 percent in all – are unknown, which doesn’t necessarily mean they’re malicious, but they could pose a threat. You can delve into more of our findings in this report from Senior Threat Researcher Marco Balduzzi. In addition to our research into the threat environment, we’ve also incorporated AI and ML into our robust data protection solutions. This technology enables Trend Micro to support key capabilities like proactive detection of zero-hour malware samples, reducing users’ needs for updates and more intricate protection against a wider range of potential threats. AI and ML can offer considerable advantages for security researchers and for enterprises seeking to better safeguard their sensitive data and key systems. However, as with nearly every innovative, new concept, AI and ML are also being leveraged by malicious actors as well. It’s important to be aware of the threat that these could pose when used for attacks and breaches. 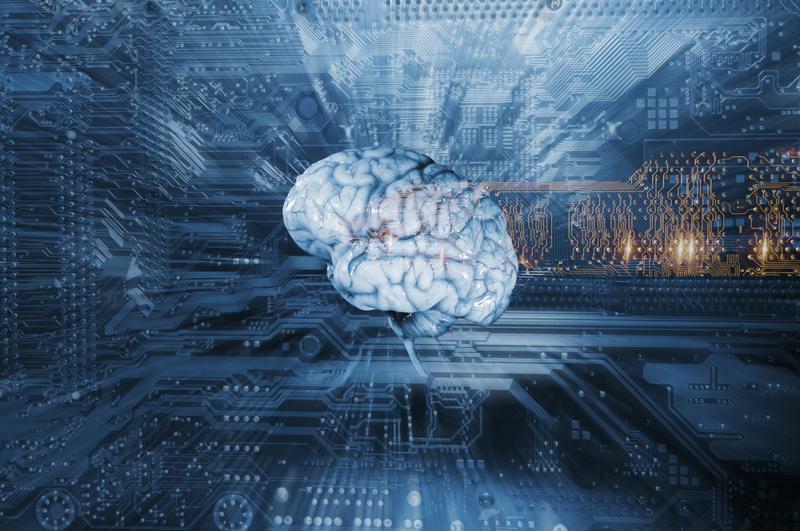 More information on how AI and ML are being utilized by hackers can be found in this piece from former Global Threat Communications Researcher Christopher Budd. To find out more about how Trend Micro can boost data security thanks to AI and ML, connect with our experts today. Big data and machine learning: A perfect pair for cyber security?